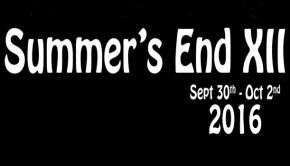 I first became aware of Firefly Burning when they appeared as the Sunday morning “Wildcard Act” during Chepstow’s 12th Summer’s End Prog Festival in 2016: “I heard sounds that were unlike those made by all the other bands – and they were beautiful. Guitar, cello, violin, an array of percussive sounds and beautiful harmonies were the backdrop to what I can only describe as the voice of an angel”. 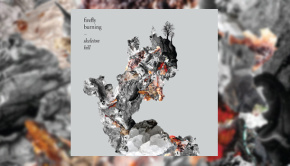 Founded in London, Firefly Burning travelled to Snape Maltings to record this, their third studio album, and what a great idea that was! Though not exactly hot on the heels of 2016’s Skeleton Hill, the band have evidently been busy and part of their business manifests itself as Breathe Shallow. I don’t know how long they were in the studio, but the production of this album is superb. It sounds as if the highest quality recording studio equipment was used by the band, producer, sound engineers and mixers to capture the subtleties and arrangements of the vocals and (mostly) acoustic instrumentation in all its musical complexity. Background vocals, harmonies and instrumental layers are all easily discernible, right down to the buzz and squeak of strings across frets. The tonal quality of the instruments perfectly complement Bea Hankey’s stunningly beautiful voice across her impressive range. In common with any of the most current progressive bands, Firefly Burning have sought to expand their range by incorporating some interesting instruments into their hybrid folk/chamber orchestra line-up. In my ignorance I was in danger of falling down a research rabbit hole trying to picture some of these instruments used. For example, a gendèr is a type of metallophone used in Balinese and Javanese gamelan music. It consists of 10 to 14 tuned metal bars suspended over a tuned resonator of bamboo or metal, which are tapped with a mallet made of wooden disks (Bali) or a padded wooden disk (Java) [Wikipedia]. A metallophone is any musical instrument consisting of tuned metal bars which are struck to make sound, usually with a mallet. Think glockenspiel or vibraphone. A barung is a collection of small, pot-like gongs suspended by strings on a rack. I have mixed feelings about the first track, It Won’t Be Long. The pulsing strings is a great opener, but the vocal hook that gives the track its name is repetitive to the point of irritation and overshadowed the wonderful work going on by the band in the background. The same thing happens with Call To Me, the second track. In fact, I found that this song was bordering on overdoing the vocal gymnastics, which would be disappointing, as there’s no need to showcase the tone and timbre of Bea Hankey’s voice by providing a vehicle for her, she could sing Happy Birthday to me, as vanilla as possible, and I’d want every day to be my birthday. And so, I found myself, during the second song and on first listen, wondering in mild trepidation, whether this was going to be the same with every track. Now, I try not to fall into the trap of track-by track analysis, but in the contexts of this album I had to see whether there was a trend that would put me off. 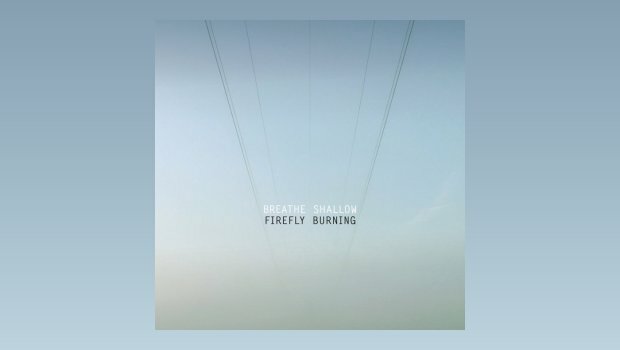 Breathe Shallow, the album’s title track, with its gentle gamalan feel, oozes atmosphere and there’s no hint of the band trying too hard to make an impression. By the time Let Me Fall is on, I’m on my back foot because the start is quite… odd. There is an element of repeated vocal lines and yet, somehow, there is nothing I find irritating (how fickle and contradictory I am!) and Forgotten is just plain beautiful. Even though I am irritated by the first two tracks, I hope I can get past that at some point. Stand-out track for me is the penultimate track, Take Me There, which is beautifully juxtapositioned against the much softer last track, Lost. The arrangement is superb. The use of odd intervals between the notes and its bass-synth line and insistent bass-drum drive the mix of scratching staccato and stringed sweeps. The band gradually builds the tension behind the vocals, pulling back to give the song some breathing space before it returns in full swing, further escalating the tension, resolving in a crescendo of high pitched vocals and violin. I’ve been listening to this almost exclusively for about 10 days. At first, I wasn’t sure. I saw this as a good sign. All too often an album that feels like an instant favourite soon loses its novelty, but the ones I struggle with make a longer-lasting impression. Breathe Shallow falls into the latter category. Almost every track is better than the last.